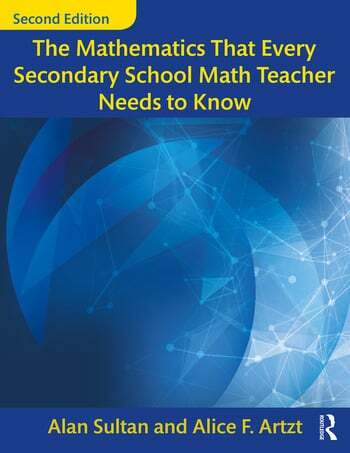 Launch Questions at the beginning of each section capture interest and involve readers in learning the mathematical concepts. Practice Problems provide opportunities to apply what has been learned and complete proofs. Questions from the Classroom bring the content to life by addressing the deep "why" conceptual questions that middle or secondary school students are curious about, and questions that require analysis and correction of typical student errors and misconceptions; focus on counter intuitive results; and contain activities and/or tasks suitable for use with students. Alan Sultan is Professor of Mathematics at Queens College of the City University of New York, USA. Alice F. Artzt is Professor of Secondary Mathematics Education at Queens College of the City University of New York, USA.